Are you feeling called to embark on a path of transformation, expansion, and elevation? If so, this Rise Up! Benitoite is for you. When I discovered these beauties, I sourced every piece that the vendor had – that’s how important it was for me to bring their magic to you. 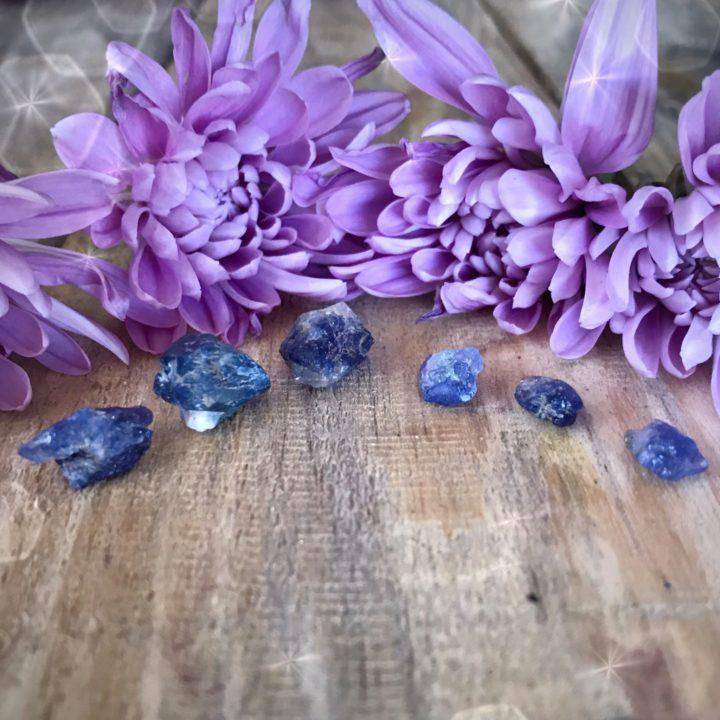 Rare and potent, benitoite crystals radiate blissful energy that expands consciousness and stimulates the growth of joy, coincidence, and synchronicity. If you’re looking to uplift your vibration, deepen your spiritual wisdom, and rise up to be all that you were meant to be, this is your offering. Don’t let the size of these crystals fool you. They’re small but mighty! Benitoite is found in only one place in the world, San Benito County (thus the name benitoite) and possesses a beautiful, serene vibration that brings happiness wherever it goes. This crystal expands consciousness and has a powerful effect on the Third Eye Chakra – your center of intuition and spiritual insight. If you’ve been looking to enhance your psychic abilities, this is a powerful stone to seek. It’s rare to see this gem on the market, so if you’re feeling called to this stone, this is your opportunity to harness its incomparable magic. Place your Rise Up! 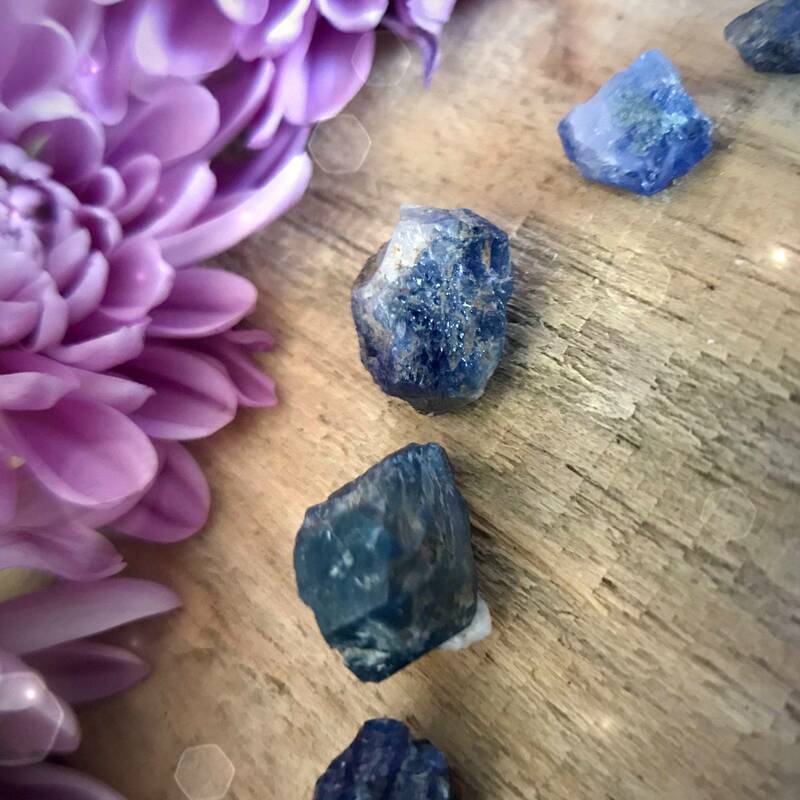 Benitoite on your altar, or hold it in meditation to harness its otherworldly magic. I recommend holding it to your Third Eye as you close your eyes and draw inward, allowing it to infuse your spirit with its otherworldly energy. However you choose to work with yours, may it serve you well; may it empower and guide you as you walk your soul path. This listing is for one (1) Rise Up! Benitoite gem. I have two sizes to offer you: Small (about 0.25”) and Medium (about 0.5”). Yours will arrive lovingly parceled along with a single leaf of white sage and a card describing the properties of the stone.